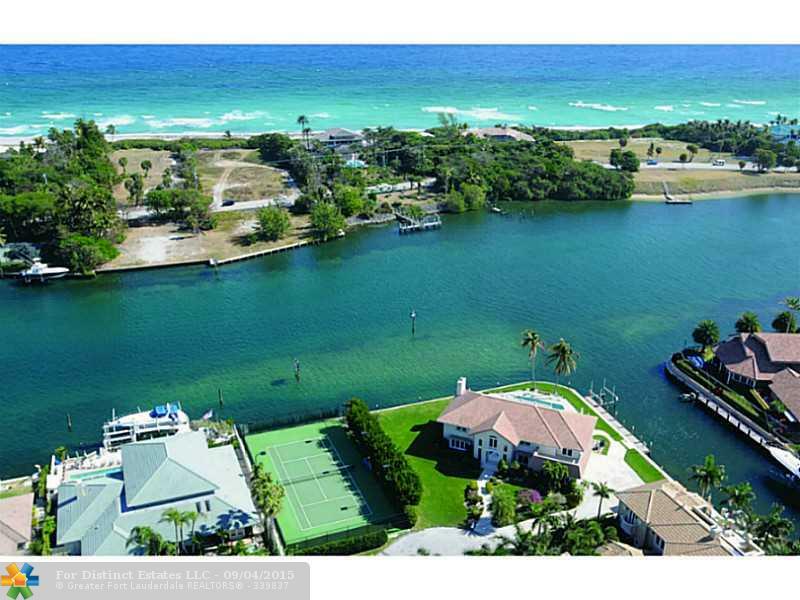 Fresh on the market in the tropical area of Lighthouse Point, Florida is this beautiful palatial waterfront estate. Perched on the exclusive Coral Key is this five bedroom/ five and half bathroom gem offering Atlantic water front views throughout it’s dramatically appointed living space. A generous gourmet style kitchen is graciously equipped with sleek granite counter tops and a full suite of stainless steel appliances. There is two hundred and seventy feet of seawall, plenty of space for a large yacht. The protected dock age on the side canal is perfect for your yacht. All of the glass windows and doors have Eurotech high impact furnishings throughout. The home is adorned with special granite, beautiful marble, shiny onyx and Brazilian walnut hand crafted floors. 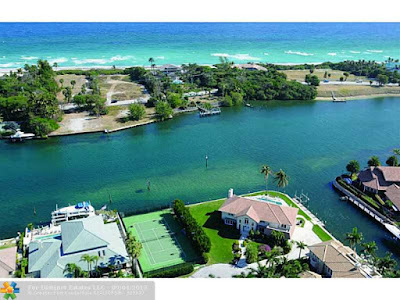 3141 North East 48th Street is located in Lighthouse Point and is currently asking $3,700,000. This Coral Key listing is courtesy of Douglas Elisman MLS# FX-1345123. Coral Key is an exclusive neighborhood tucked in Lighthouse Point. Residents enjoy close proximity to Los Olas, Mizner Park, Boca Town Center and The Galleria Mall. Located on just north of Sample Road, residents of the Coral Key also enjoy close proximity to to main highways such as Interstate 95 and Ft. Lauderdale International Airport.